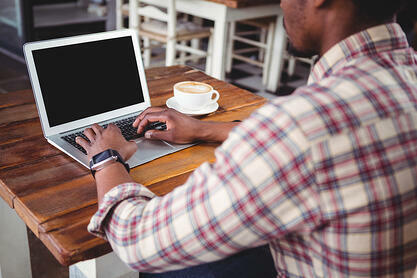 5 Quick Tips for Engaging with Your Customers Online. Receiving a review or a comment on a social media is a bit nerve-wracking. You never know what people want to share about your business to others. However, getting a bad review/customer complaint is not the end of the world; it can be an opportunity to show transparency and authenticity. Here are a few tips on how you can handle the situation. It’s key to engage with any sort of feedback — whether it be positive or the dreadful negative. Having an online presence can be critical when potential customers are making decisions to go to your place of business or order any of your products. Keep in mind you don’t have to respond. Negative reviews can be a bit tricky. When you respond, make it personal — include their name or username. Start with an apology even if you feel like the customer is in the wrong. Giving an apology can assure the reviewer — and the reader — that you take customer concerns seriously, while showing others that you take pride in your services. Here is an example of how Southwest Airlines handle a customer’s complaint about missing luggage. Sometimes all a customer needs is a simple explanation. Keep it clear and easy to understand. Don’t stray away from the customer’s concern. Doing this will make the customer feel as if their concern is not a priority. 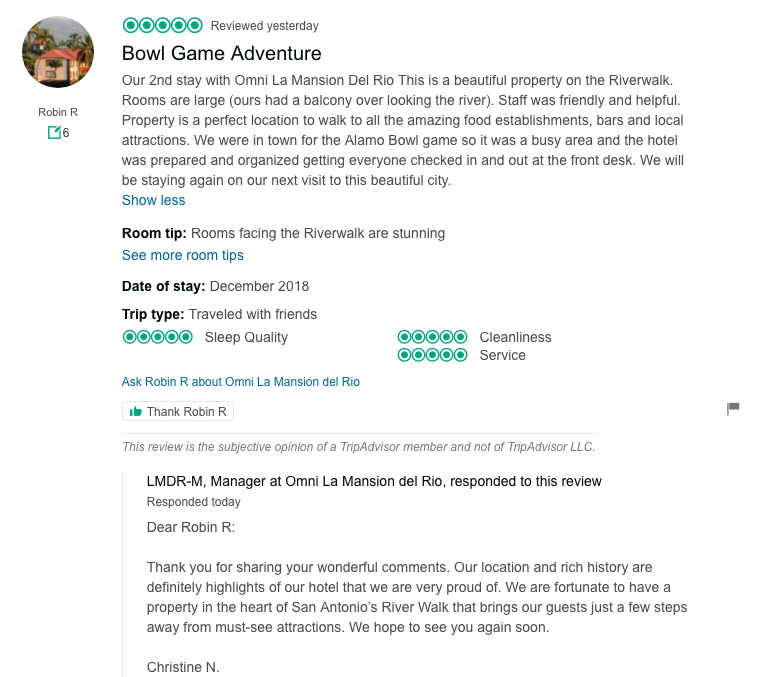 Here is a great response from a spa in San Antonio, Texas. Other times the issues can be more complicated. 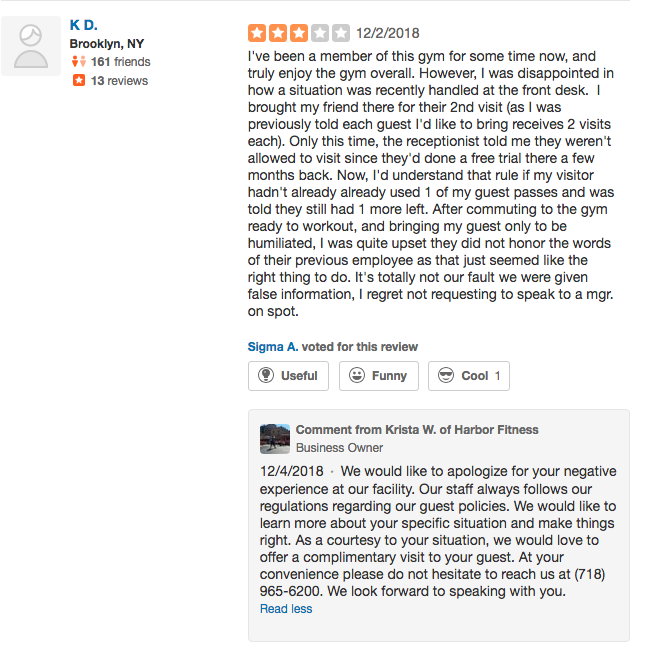 You don’t always have to resolve the issue online in the reviews/comment section with the customer. Ask them politely to call or email your place of business. 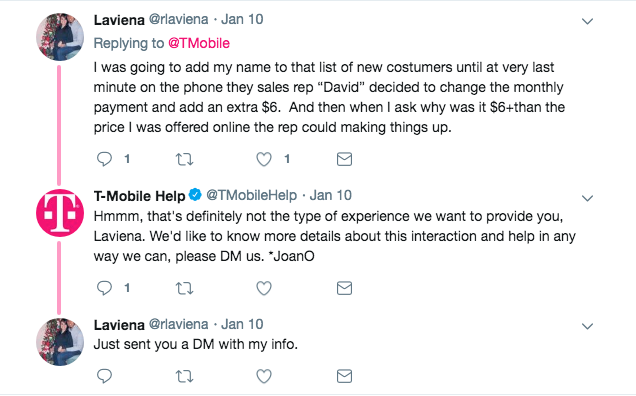 Take a look at how T-Mobile responded to a customer’s billing issue. People tend to give negative reviews and comments based off the concept of ‘time and money wasted.’ In some scenarios, apologies just won’t cut it — but providing an offer for 20 percent off their next purchase can go a long way when trying to bring back a customer to help them have a more positive experience. It’s important to invite your customer base to review their experience. Not only does it serve a purpose to those who are in the ‘Research’ phase of making a decision about who/what to spend their time and money on. On search engines like Google, replying to a review can increase your SEO ranking. Email campaigns: Sending an email after a recent purchase encouraging the customer to review. Including a direct link to review on your website. Click here to learn how you can get a link for your Google reviews. Overall, customer feedback can only help your business. It brings to light what you’re doing right and what you can improve. Below are some resources from top sites that customers use in order to share and review their experiences.